10oz Japanese duck canvas woven on vintage shuttle looms in a tightly woven plain weave construction. 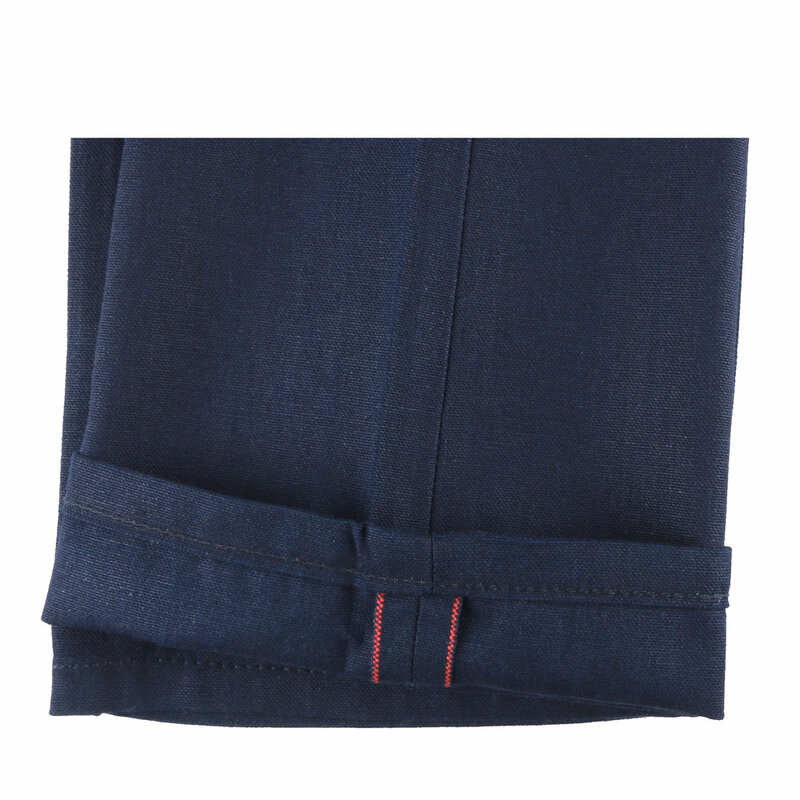 Used primarily for workwear because of its strength and durability, the fabric also has a relatively smooth surface making it less prone to snagging and tearing. Duck canvas was once the fabric of choice to make jeans before denim became popular in the late 1800s. Other details include red selvedge ID, tonal stitching, tan leather patch, silver metallic buttons and rivets.